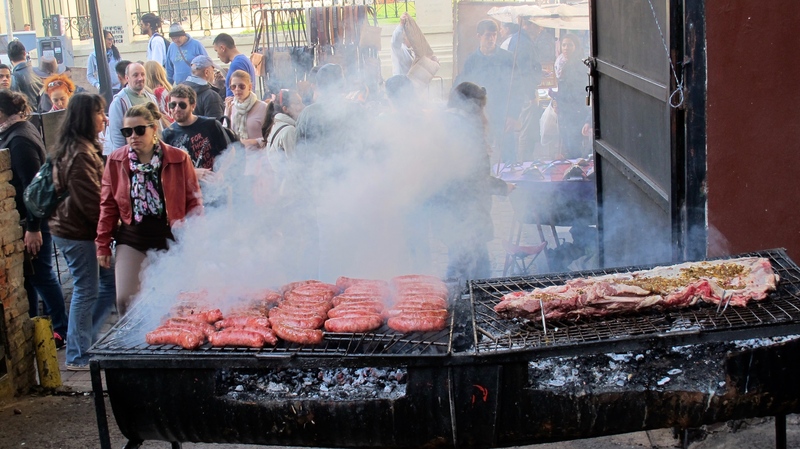 There’s a reason why Sunday in Buenos Aires is my favorite day of the week, and it’s called El Rey de Chori. This rang quite a few bells for me. 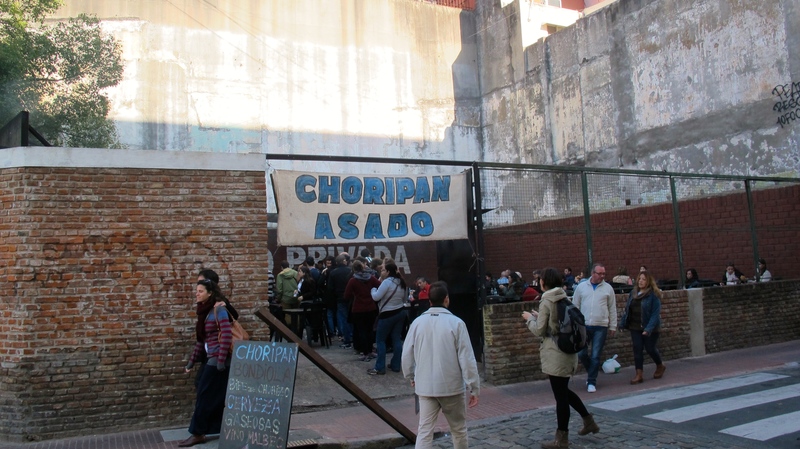 I’d obviously heard a ton about choripan in my time in Buenos Aires, but never had the opportunity to try it. 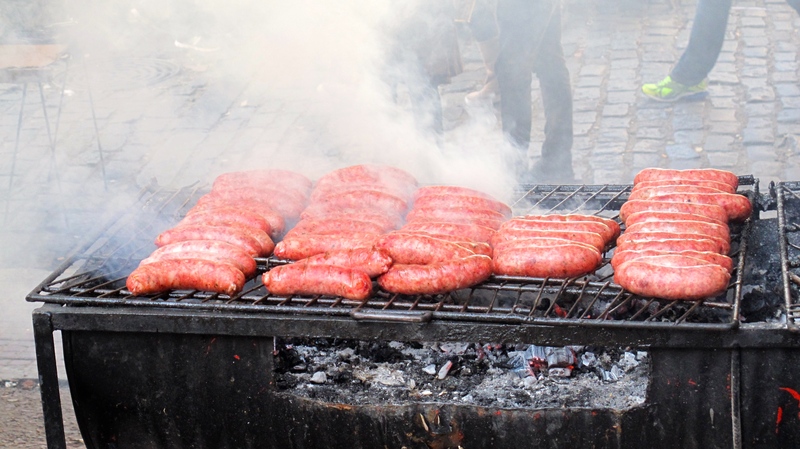 And here we were, right outside the best choripan place in the country. Wowza. The moment I saw the huge line of tourists and porteños, I knew the food had to be good here. And it was. So good. The chorizo tasted like it was made in heaven. It was super greasy and wrapped in a thick piece of bread. Just the sight of it in my hand made my mouth water. To make things better, there’s a little salsa station, where bowls of the famous chimichurri, salsa criollo, and a yet-to-be-identified condiment are laid out, for you to add to your choripan. 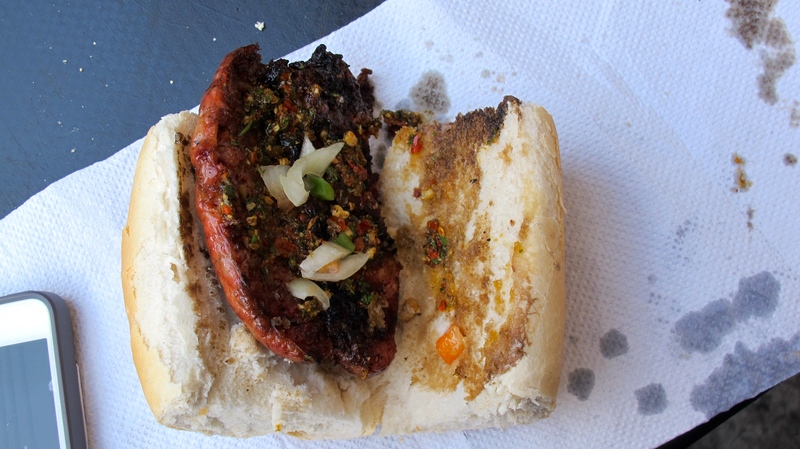 I added generous quantities of the chimichurri and salsa criollo, and proceeded to finish my choripan in under 4 minutes. Record time. To be very honest, the place is slightly overpriced. 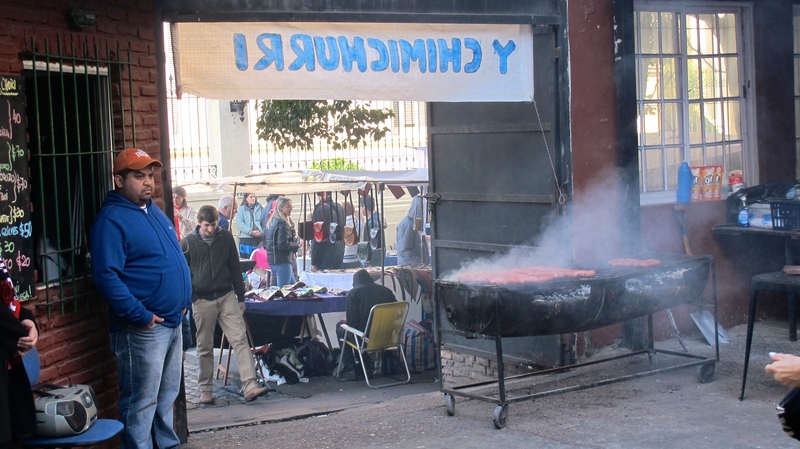 Most other choripan places sell their stuff at 50% less than these guys. I’m not complaining since I thought it was totally worth it, but at 40 pesos a pop, its not cheap for what’s meant to be fast-food. As seen in this menu, you can get some asado cooked bondiola (pork shoulder) and bife de chorizo (sirloin strip steak) too. 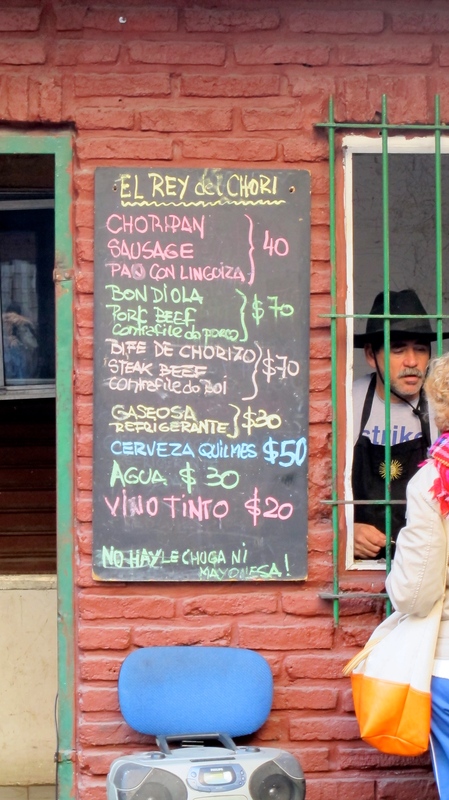 Although I fail to understand why anyone would order anything but for the choripan.